SEARCH ENGINE AND SOCIAL MEDIA 32,000+ TRAFFIC for just 6$ !! If you are looking for Keyword Targeted Google Organic Traffic or High Quality Page Ranking Traffic with Low Bounce Rate and High Duration. Can We Target Country ? Are you using bot softwares? 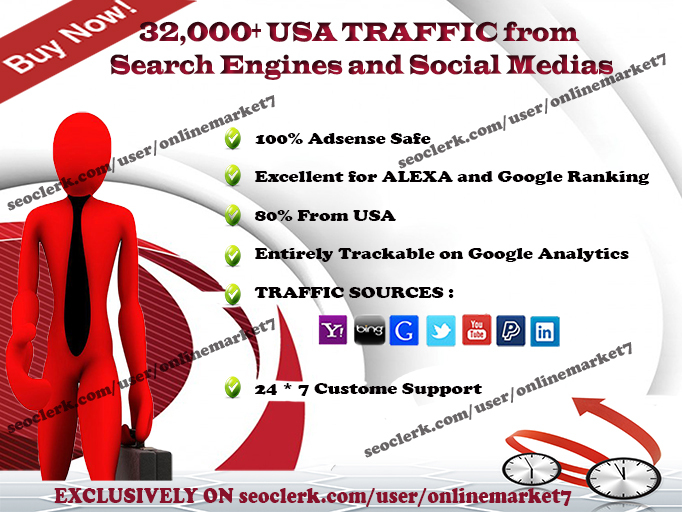 32000+ TRAFFIC from SEARCH ENGINE and SOCIAL MEDIA sites from USA is ranked 5 out of 5. Based on 51 user reviews.